Car Hire in Koeln Bonn Airport. Cheaper Estate, SUV, MPV & 7 seat minivan rental at Cologne Airport. Save on car hire at Cologne (Koeln) Bonn Airport, Germany. Pre-book 7 or 9 seater minibus with Sat Nav and extra drivers. Sports Utility Vehicles also available. After processing your car hire booking we will issue a car rental voucher which will contain directions to the car hire company in Cologne Koeln Bonn Airport. Please check times etc and keep in safe place, as you must present this to the rental company when picking up your rental car in Cologne Koeln Bonn Airport. Please follow the signs for rental returns when returning your rental car to the airport car parks. Koeln Bonn Airport is connected by rail. The S-Bahn metro train leaves every 15 minutes and will connect you directly to the main train station in Cologne. Tickets may be bought in the airport at one of the vending machines clearly visible in arrivals approx cost 3 Euros. A taxi service is also available and a taxi from Koeln Bonn airport to downtown will cost in the region of Euro30 excluding a tip. Phone Cologne Taxi service on 8228 when you arrive. First visit to Koeln Bonn or second? 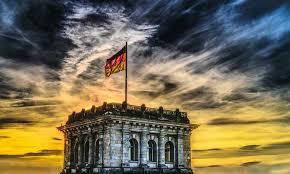 Either way, the rental of Sat Navwill ensure that you do not get lost and waste valuable time whilst touring Germany. Being Germany and home to the big luxury brands in the car market we can offer BMW , Audi, Landrover Discovery and Mercedes and great online prices from a low of EUR120 per week. Why not take advantage of additional insurance cover to reduce any excess to zero. Great deals on booking vehicles for Cologne. Major motor suppliers, but cheaper here. If you are in Cologne Koeln Bonn for that all important business meeting select from our prestige vehicles that include the the Saab 9-3, convertible automatic or the BMW X5 automatic. Get more Germany car deals here. The city of Bonn is located on the banks of the river Rhine in Germany. This city is the hub of politics and administration. 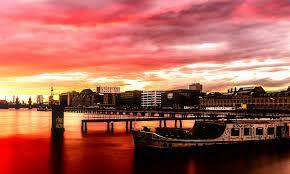 The city has a glorious history and is full of heritage sites all across. One of the most famous attractions of the city is the August Macke Haus which is home to a local expressionist painter. 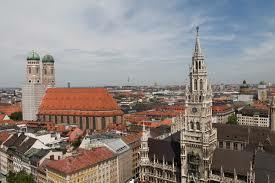 If you want to shop in a traditional German market then you should drive down the motorway to the Marktplatz. The market is home to some of the oldest traders and stalls. You can also drive to the Poppelsdorfer Schloss which is a very famous castle and is visited by millionsof tourists. The castle is surrounded by beautiful lush green gardens, which is home to some exotic flowers. Drive in your rented car to the Alter Zoll which is famous for the beautiful views of the Siebengebirge Mountains. Hochkreuz is another very famous resort that remains a hub of tourists all across the year. La Redoute is a concert hall where the very famous musician Beethoven once performed. Bonn is also home to some of the most luxurious five star hotels in the world. The city is also home to a number of museums.